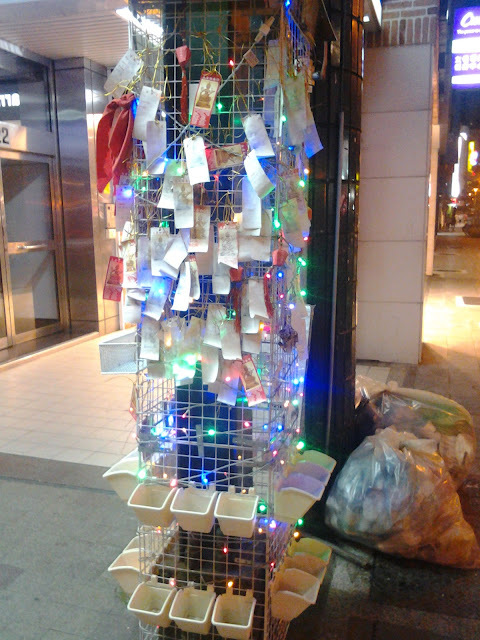 One day I was taking one of my long walks from Taipei 101 to Xindian District, when I stumbled upon a Buddhist shrine. It was one of the smallest and strangest shrines I'd ever seen. 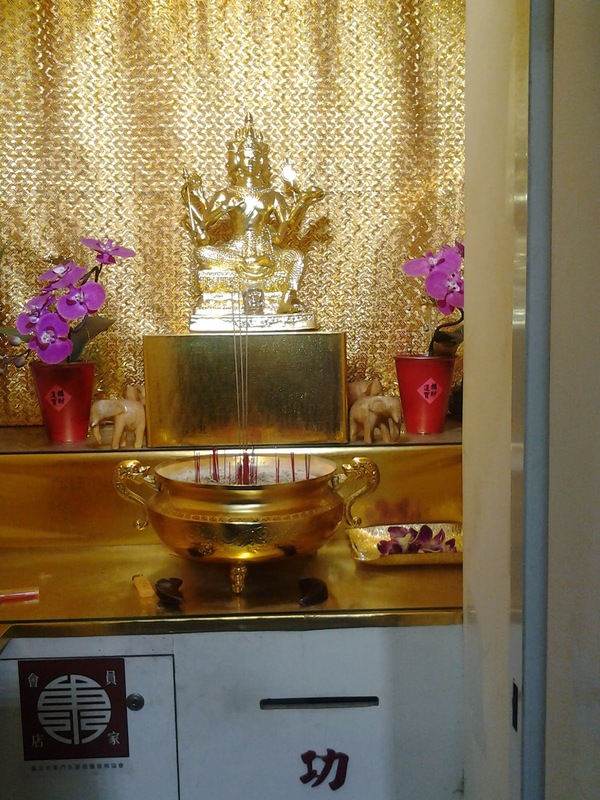 Usually Buddhist shrines are situated inside buildings that are often constructed in a traditional Chinese style. But this one was different. It was inside a narrow cubicle-like room. 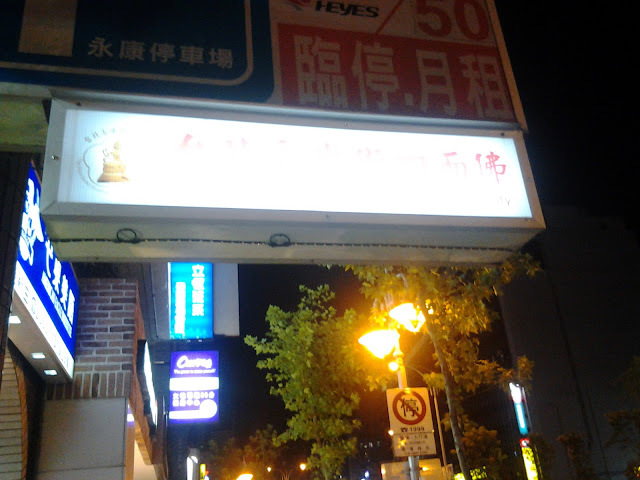 There was music playing and the shiny yellow Buddha statue continuously rotated. 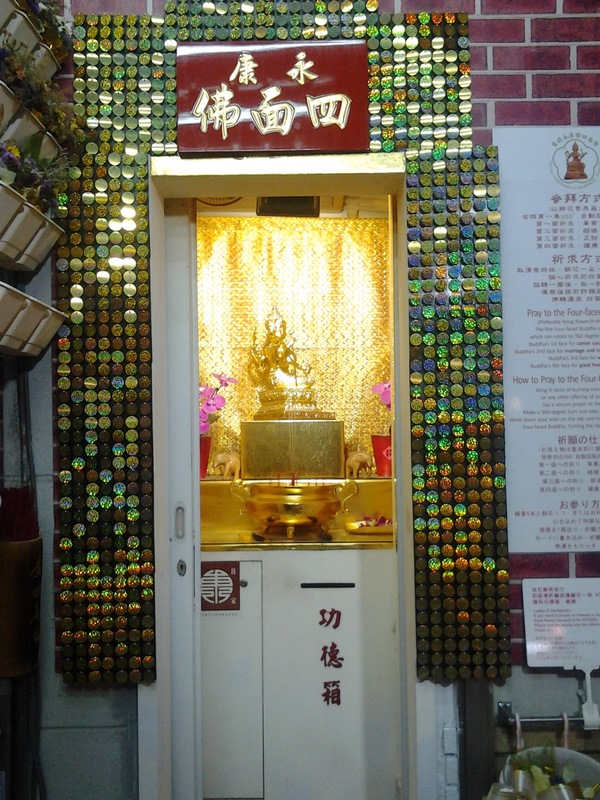 The shrine, which is located on Yongkang Street, near the bustling Dongmen night market, is called Yongkang Four-Faced Buddha (永康四面佛). A plaque inside the shrine informs you that if you want to "prayer [sic!] or redeem a vow to the Buddha" you can buy a flower bouquet that costs NTD200 (about US$6.50). Another plaque explains why the Buddha is called "four-faced". Each face represents four aspects of human life: 1) career success and fame; 2) marriage and romantic relationships; 3) wealth; 4) good health and peace. If you want to pray to the Buddha and ask for help, you need to bring 4 sticks of burning incense, flowers or any other offerings. Then you have to say a "sincere prayer" to the Buddha, make a 360-degree turn and take a blank prayer slip. Write down a wish on the slip and hang it on the Prayer Wall. The Four-Faced Buddha will turn "the Negative into Positive." 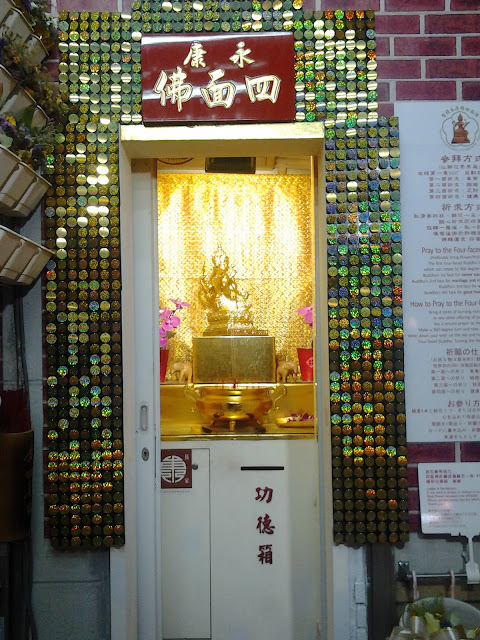 Lots of people obviously believe in the influence of the Buddha, because the Prayer Wall was full of slips.